When reviewing the current NBA playoff picture and analyzing the rosters, one thing jumps out to us. Most of the point guards who reside at the top of the league’s totem pole are on teams that would be in the tournament today. This cannot be a coincidence, as the guy who runs the show and thus, is usually most vital to his team’s success is the shortest guy in the starting five (Giannis Antetokounmpo “bucks” that trend with his official move to the position). 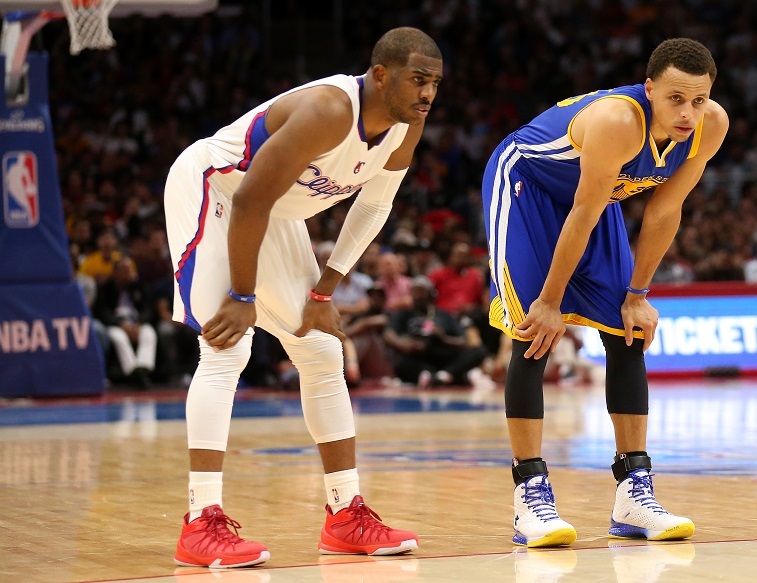 Here are the top five point guards in the 2016 NBA playoffs. 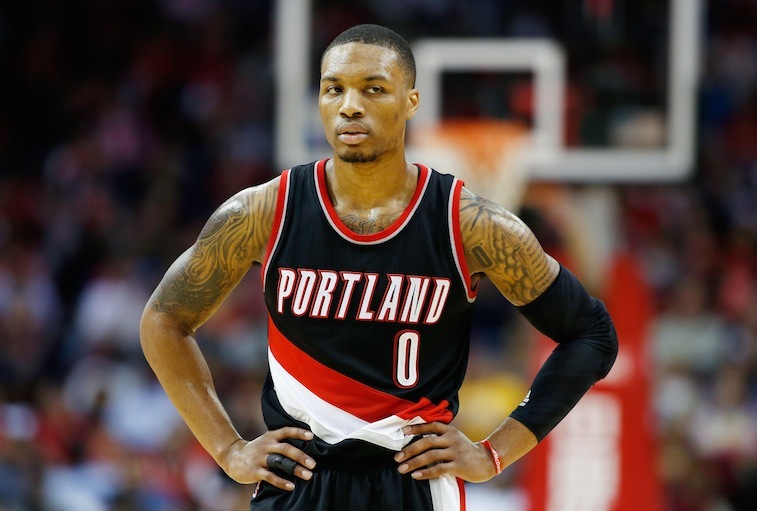 Portland Trail Blazers point guard Damian Lillard comes in at No. 5 on our countdown. Of the five performers on this list, four are from the Western Conference, so Lillard must make up some ground on his competition. The Weber State University product continues to produce, stay healthy, and get better and better. He, along with back court mate C.J. McCollum, are co-leading the Blazers to a surprise possible playoff appearance; Lillard is doing so by posting career-highs in points per game (25.3), assists per game (6.8), and free throw percentage (.890) among other categories. 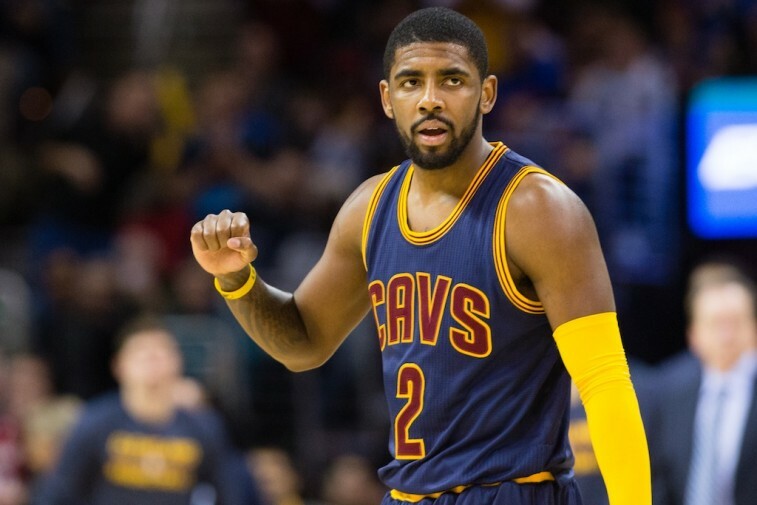 If John Wall’s Washington Wizards were not on the brink of playoff elimination, then he may have supplanted Cleveland Cavaliers point guard Kyrie Irving’s spot on this list. Derrick Rose, Jeff Teague, and Kyle Lowry have all been fantastic, but there is no way we could exclude No. 2. After going down last spring in the playoffs, the Cavs’ title chances went from very good to only a long shot (hey, they still had LeBron), so Irving’s impact on this roster is huge. He missed the first 24 games of the season but has been mostly terrific as one of LeBron James’ sidekicks since then. The former No. 1 overall pick is averaging 19.5 points and 4.6 assists per contest, while being nearly automatic from the charity stripe at 89% — and he still has some of the best handles in all of basketball. 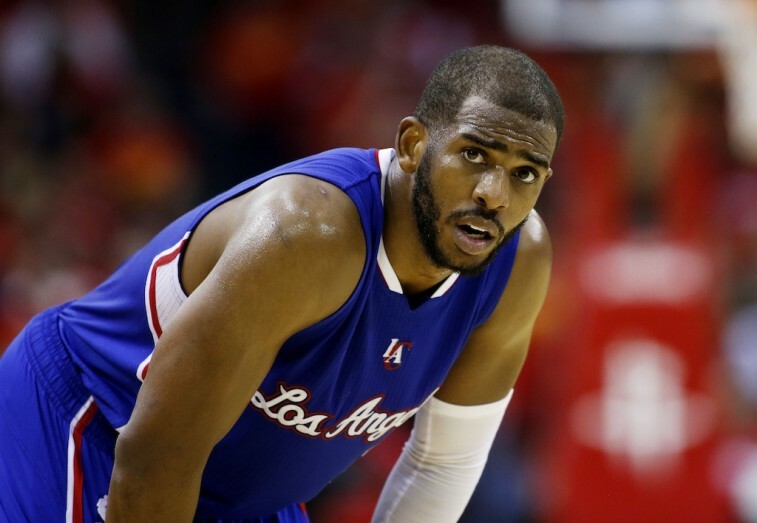 With all due respect to Blake Griffin and DeAndre Jordan, Chris Paul is still the best overall player on the Los Angeles Clippers in our opinion. You can say what you want about the 30-year-old’s “failures” in the playoffs, but the dude can still ball with the best of them. Paul posted his highest points per game average (19.9) since 2008-09, is on pace for his ninth-career season averaging at least two steals per game (2.1), and is dishing out an even 10 helpings per contest as well. He’s doing all this while being the smallest guy of the group, listed at an even six feet tall and weighing in at just 175 pounds. The future Hall-of-Famer proves time and time again that good things can come in small packages. Is it possible that Oklahoma City Thunder point guard Russell Westbrook is having an even better season than last year’s MVP-caliber output? At the historic rate that he has put up triple-doubles lately, we think that it is not only possible, but probable. Sure, his scoring numbers have dropped more than four points per game to “only” 23.7, but that is what you get when you have a (mostly) healthy Kevin Durant playing alongside of you. In other areas — 2.1 steals, 10.4 assists, and 7.8 rebounds per game — No. 0 is currently on pace to set career-bests, which is only further evidence for his case as being more valuable to OKC than KD. No surprises here, as Golden State Warriors “GOAT,” Stephen Curry, ranks No. 1 on this countdown. Not only is the Baby-Faced Assassin the best point guard in the business right now, but he is also the best player in the entire association (sorry, LeBron). There is really not much to say that has not already been said over and over, but just check out these sick stats from this season. Some of Curry’s mesmerizers: 30.1 points per game (leads the league, career-high), 2.1 steals per game (leads the league, career-high), 5.4 rebounds per game (career-high), .506 field goal percentage (career-high), and .459 three-point field goal percentage (career-high). Yeah, this guy is pretty good. Statistics courtesy of NBA.com and Basketball-Reference.com.